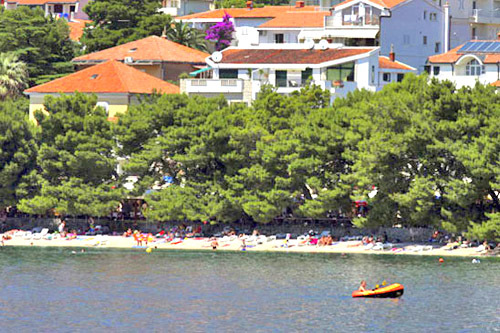 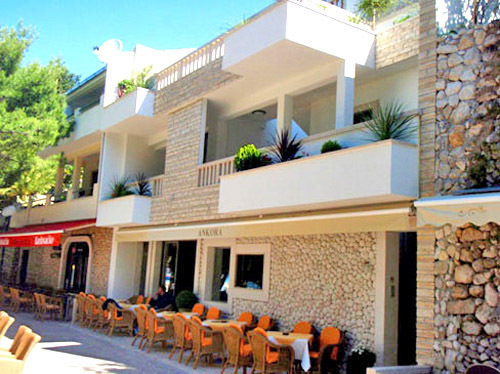 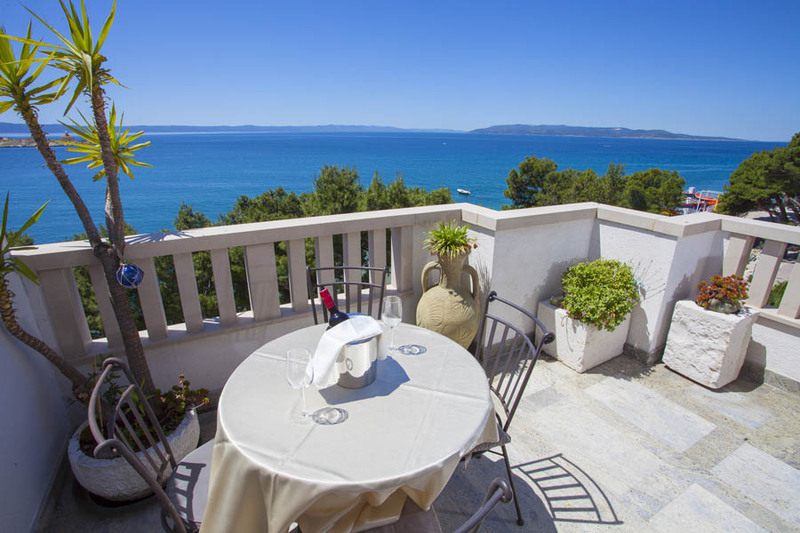 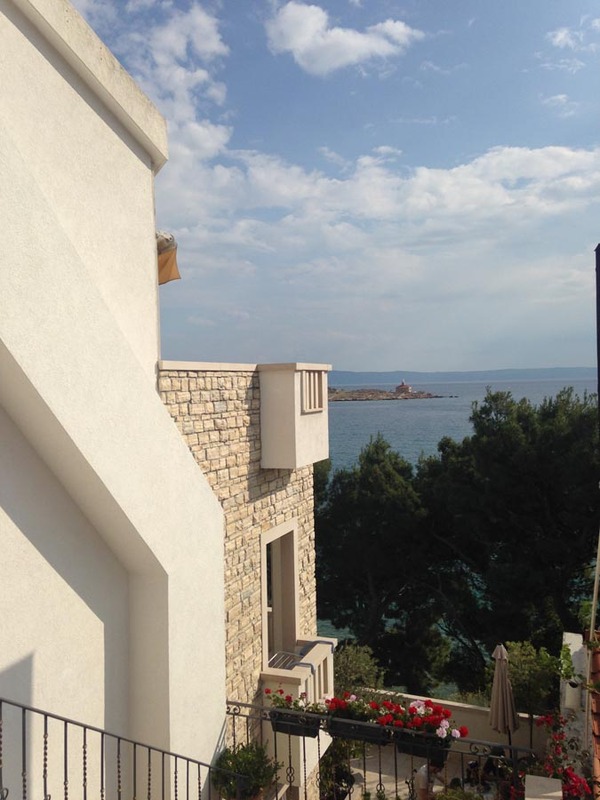 We would like to invite you to spend your holidays in one of the apartments in our family house in town of Makarska, situated just a few steps from the sea and beautiful pebble beach. 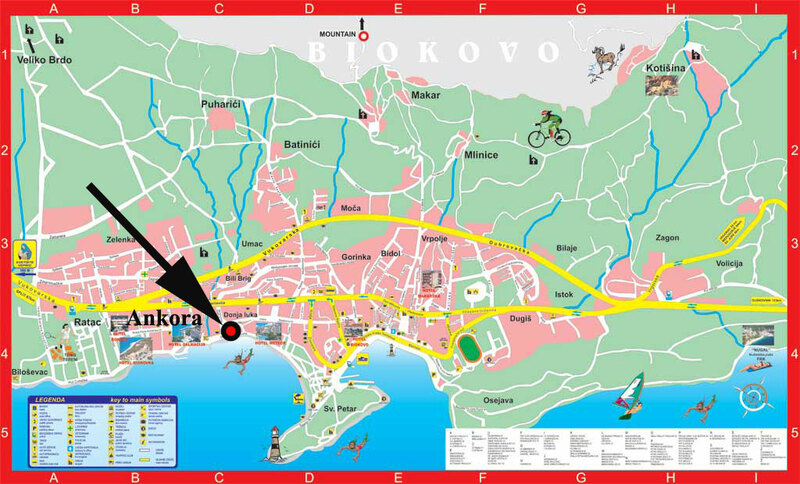 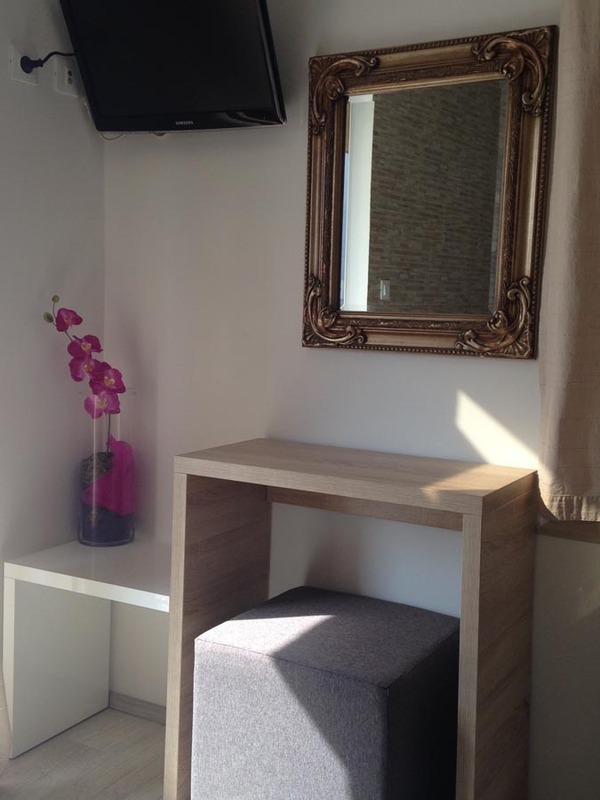 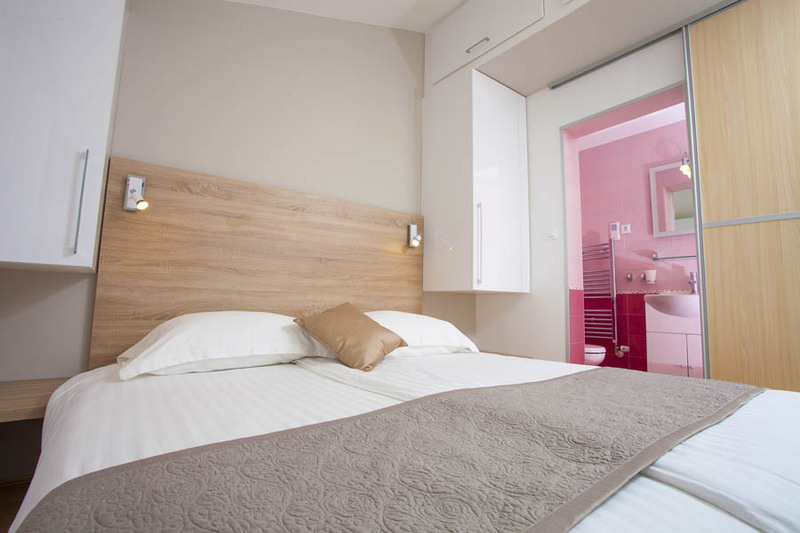 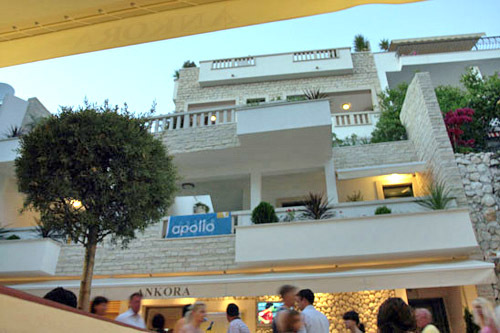 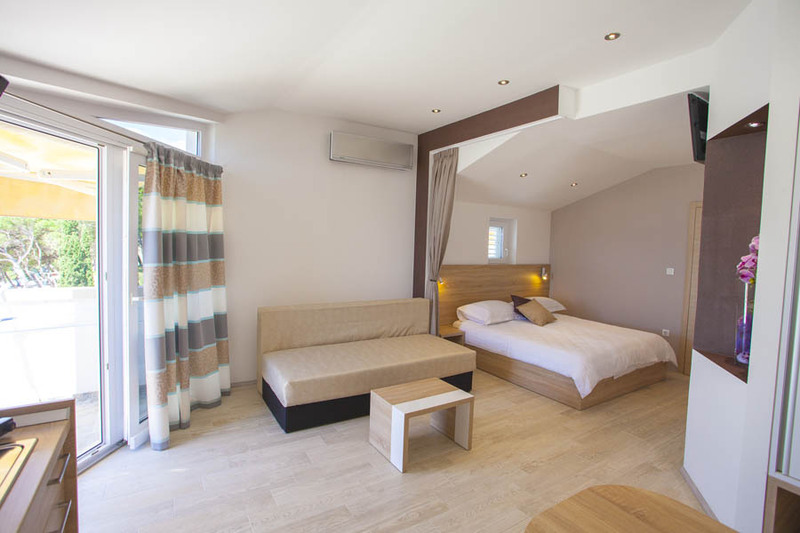 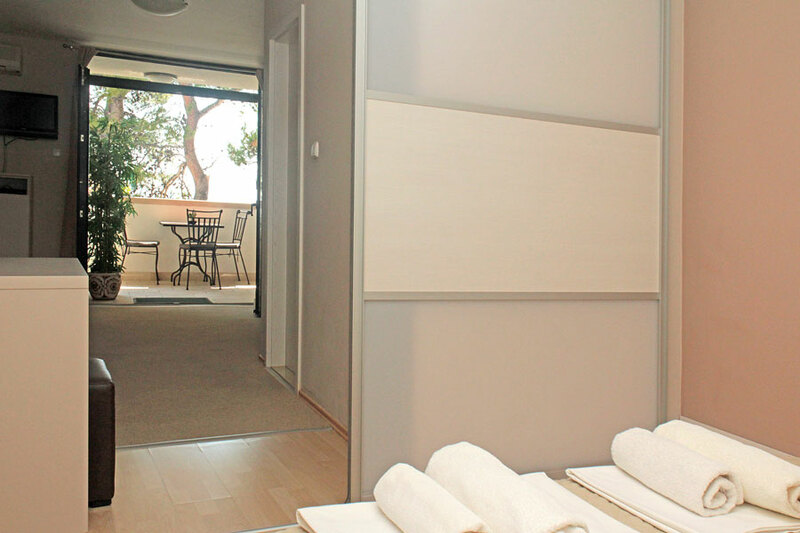 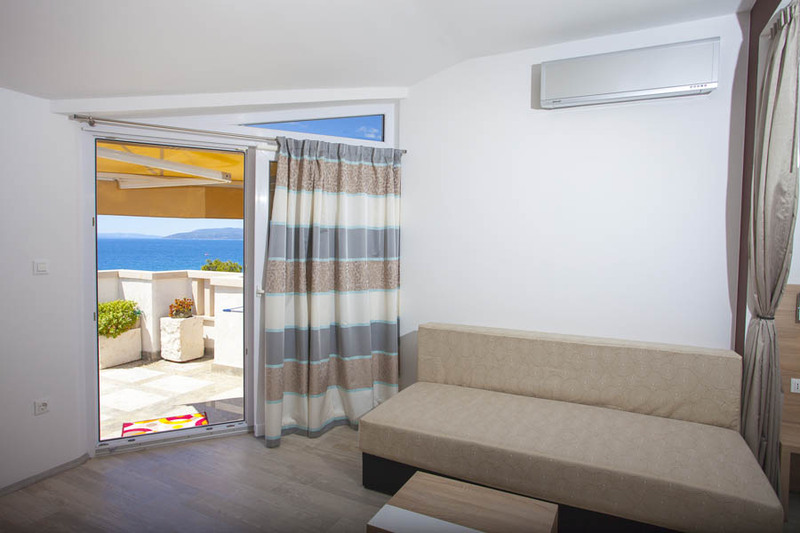 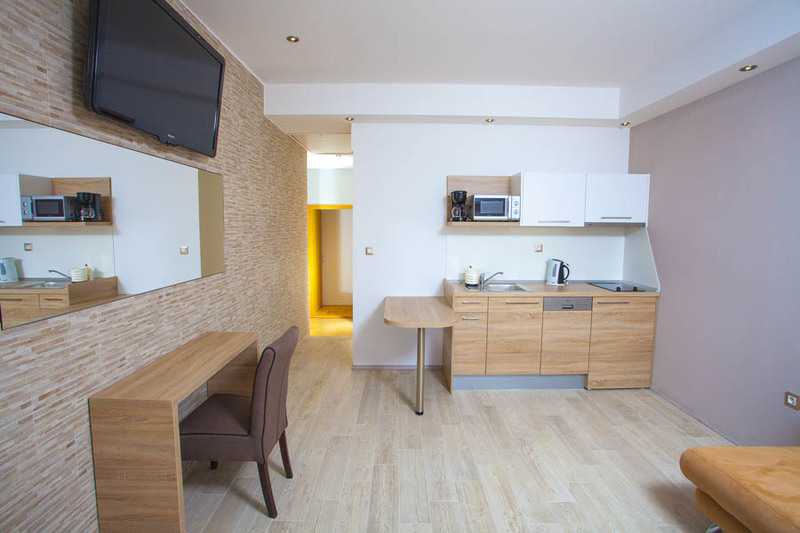 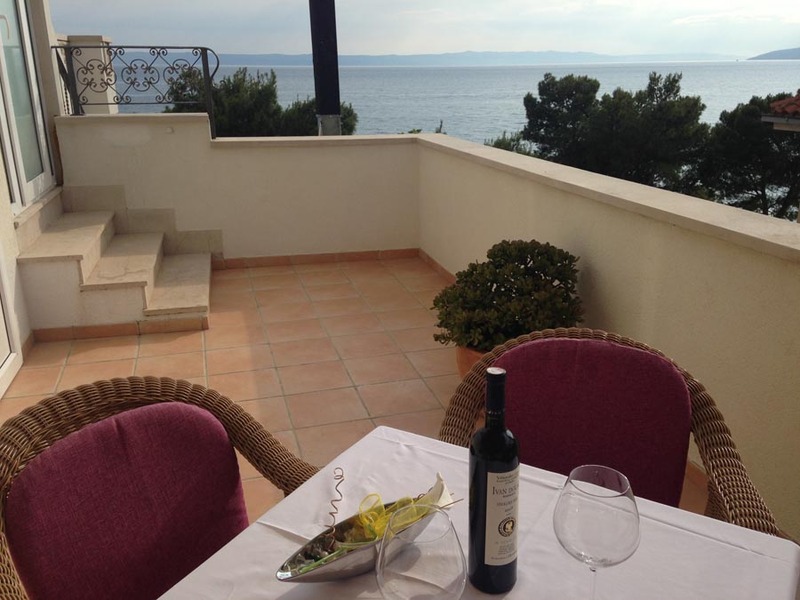 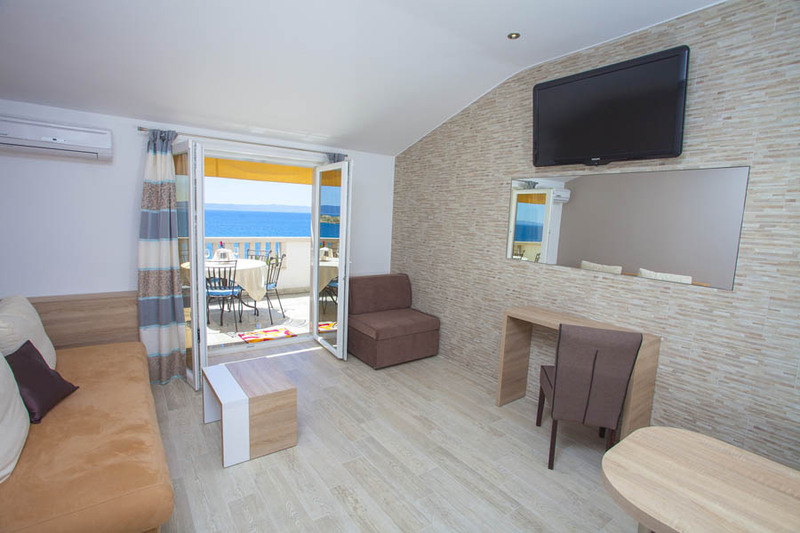 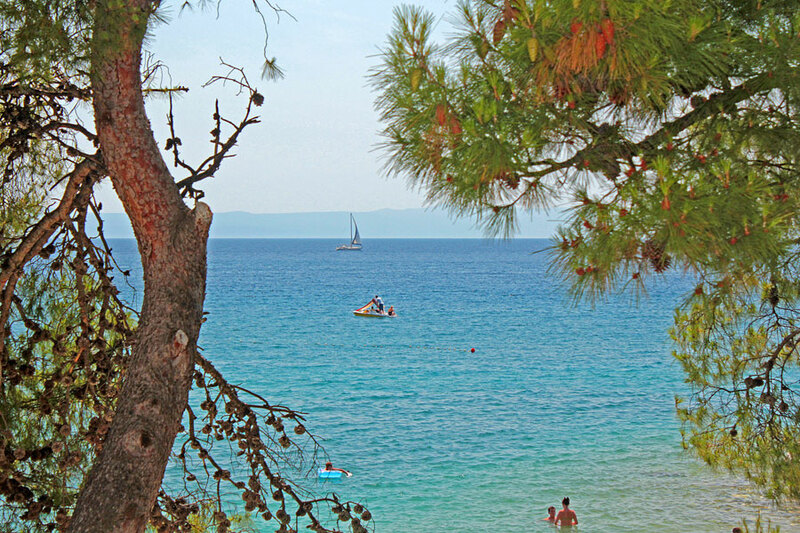 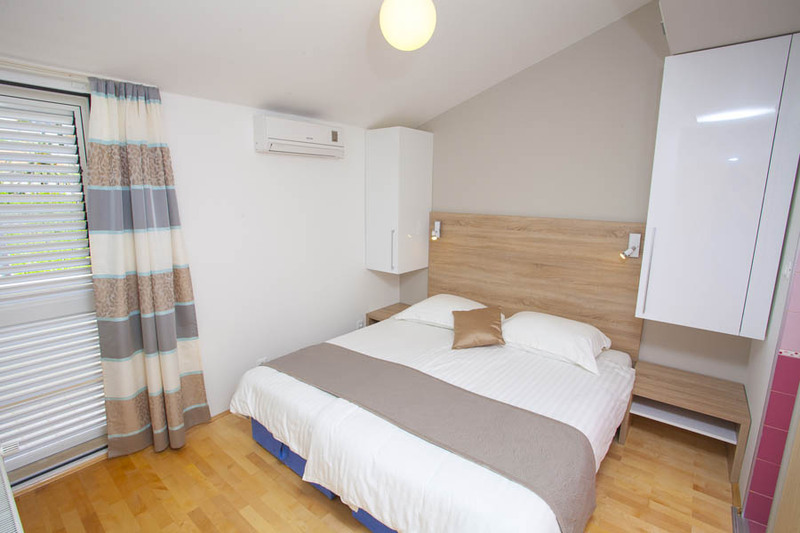 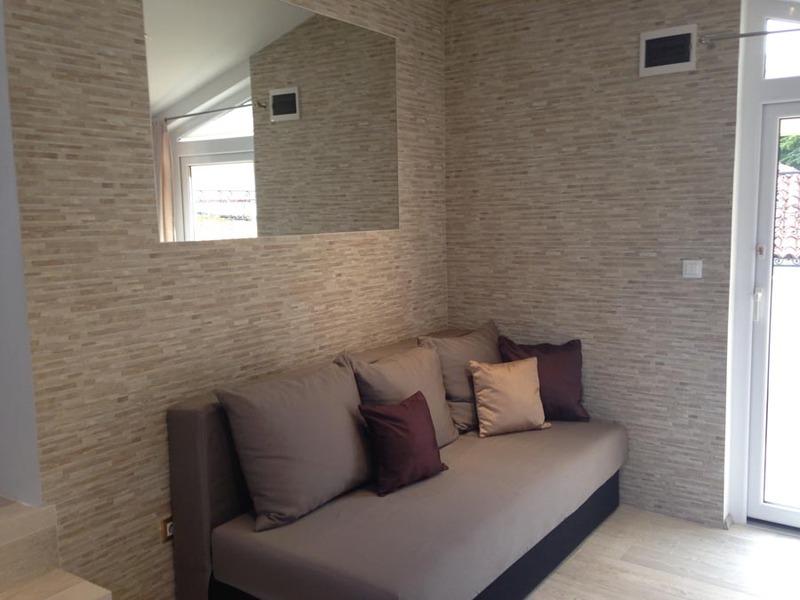 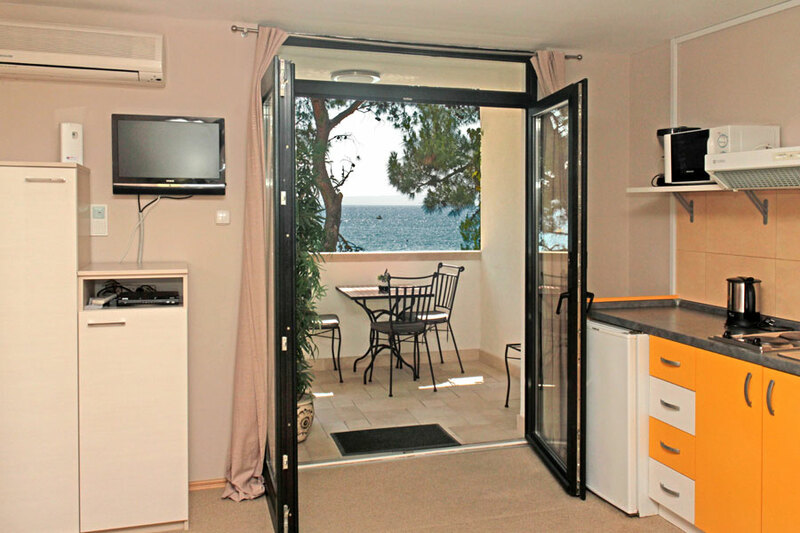 We offer accommodation in newly renovated apartments equipped with air-condition, satellite TV, radio and safe deposit box, and with unique view of the Makarska beach and St. Peters peninsula. 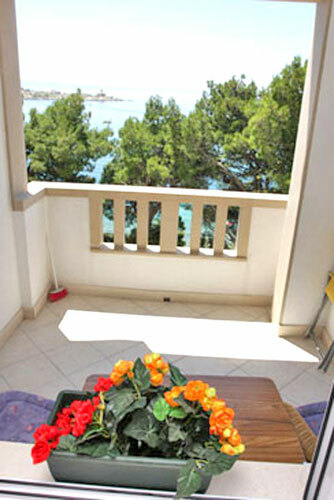 Apartment for 2-4 person, 1st floor. 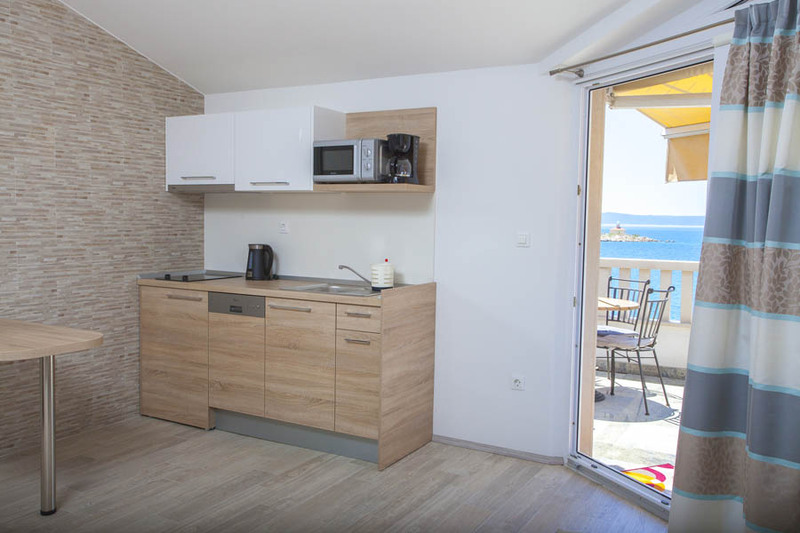 Apartment for 2-5 person, top floor. 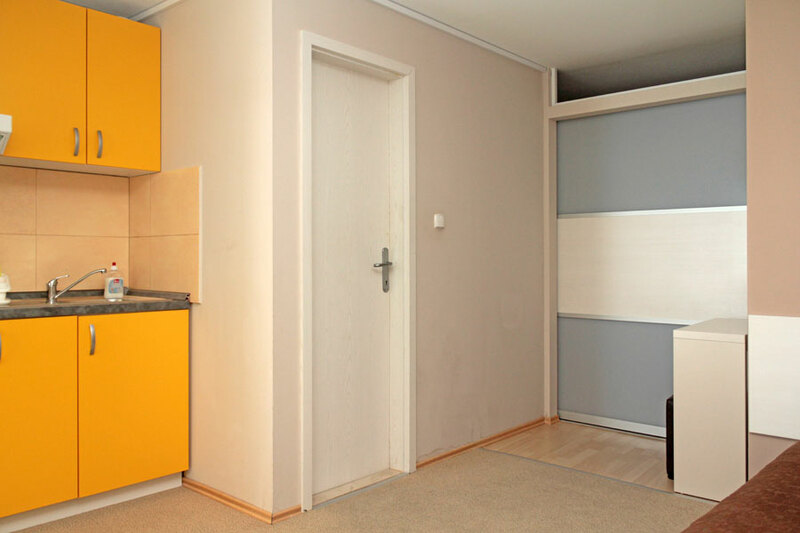 Apartment 2-4 person, top floor. 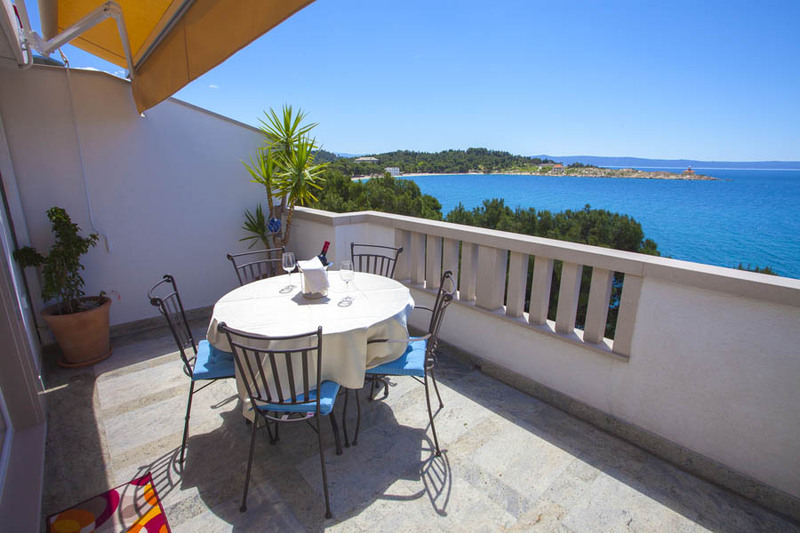 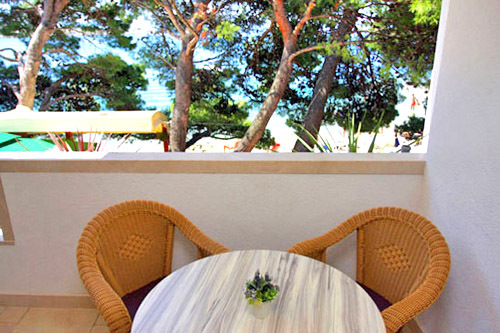 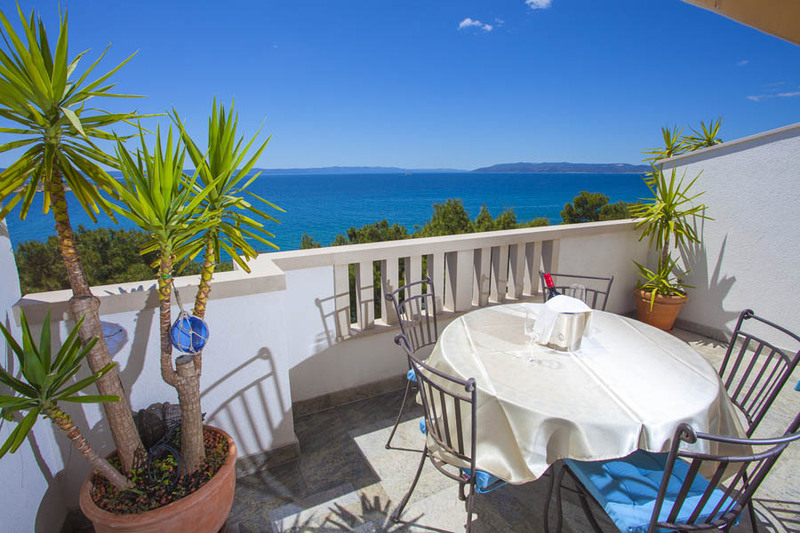 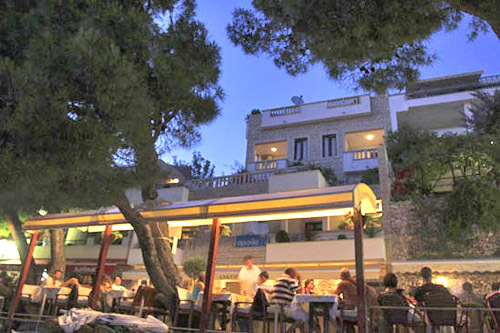 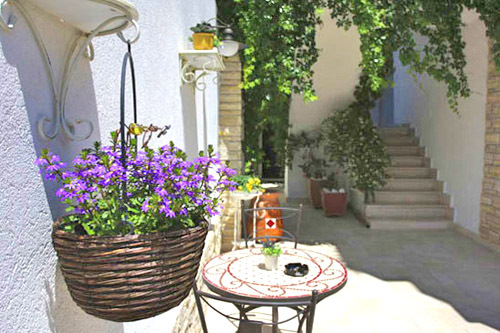 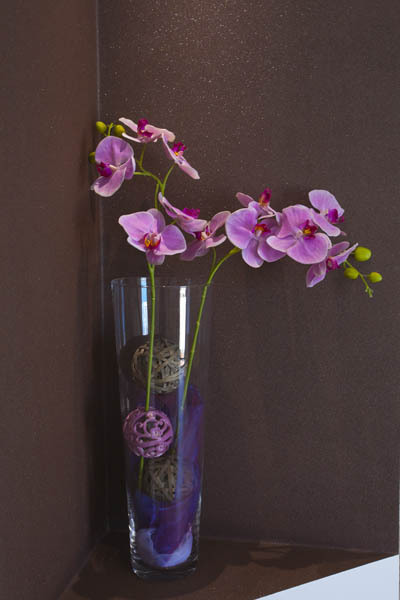 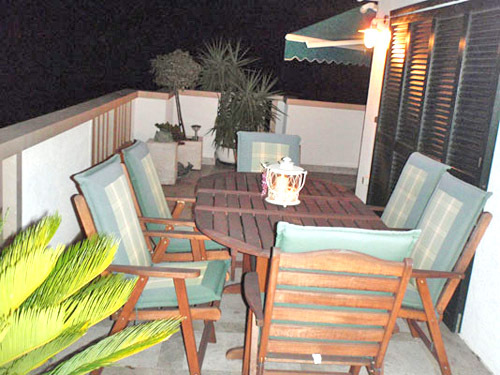 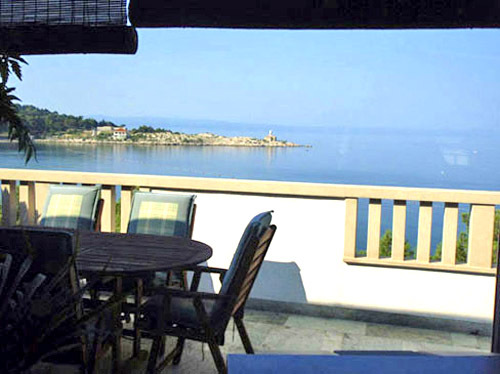 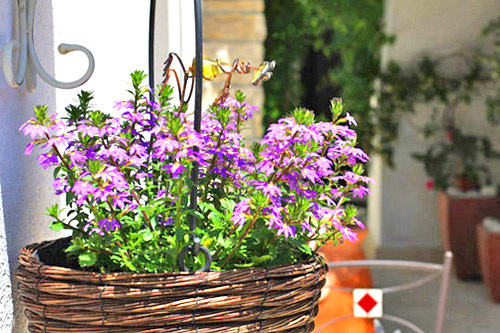 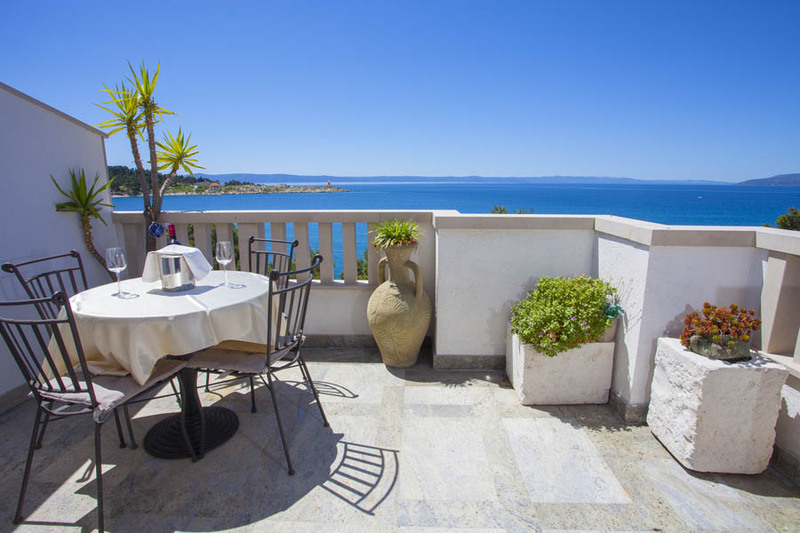 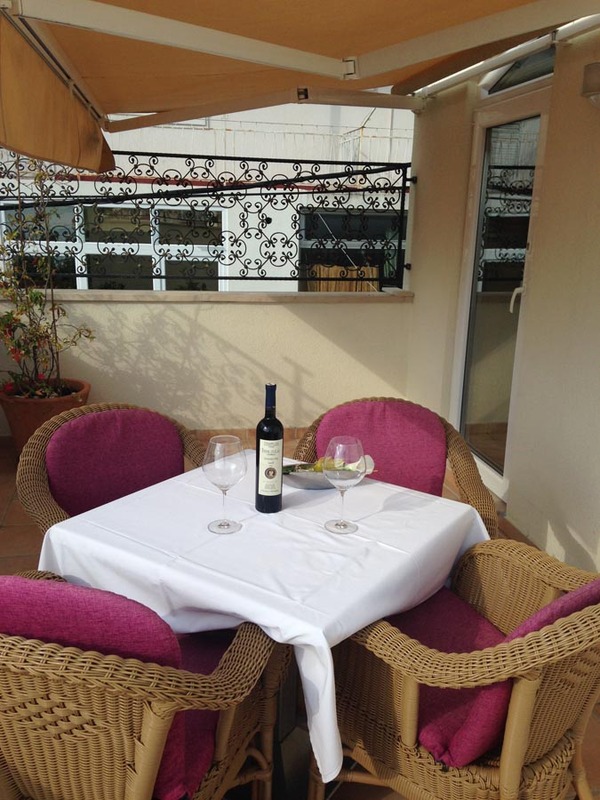 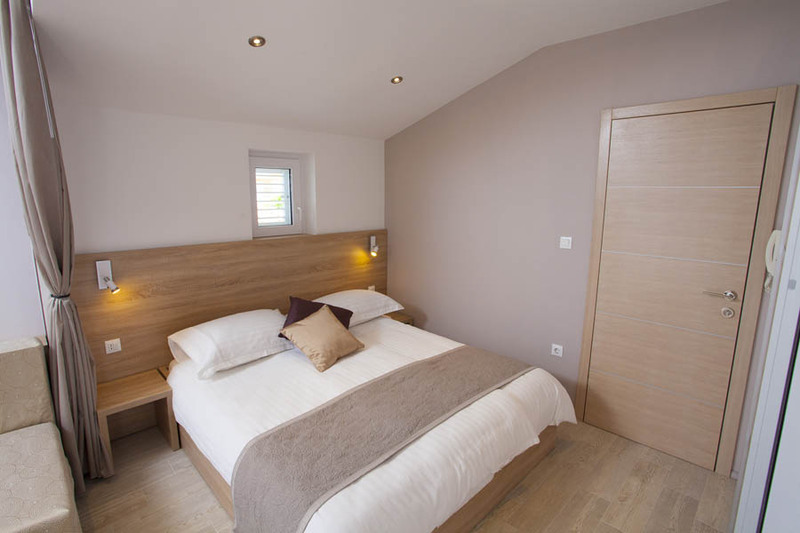 The apartment is located on the top of the house with a large terrace and sea view. 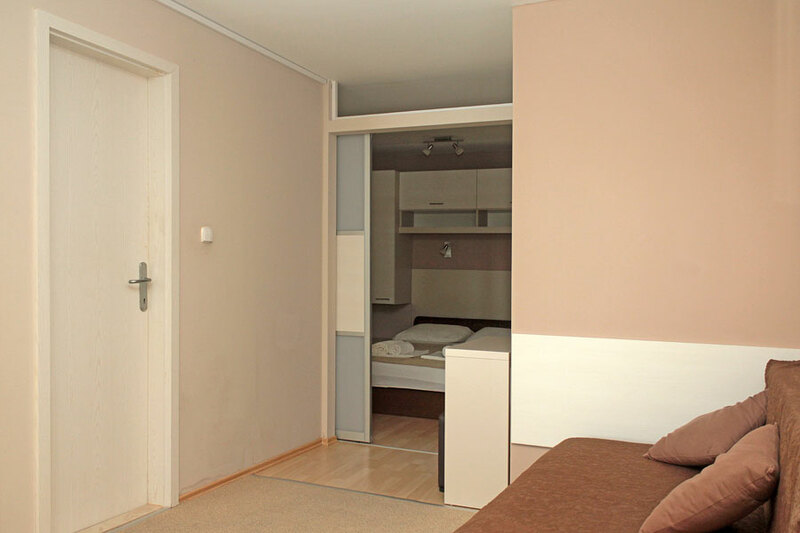 It consists of a bedroom (with bed for 2 persons and one bed for 1 person), living room (with sofa bed for two persons), kitchen and bathroom. 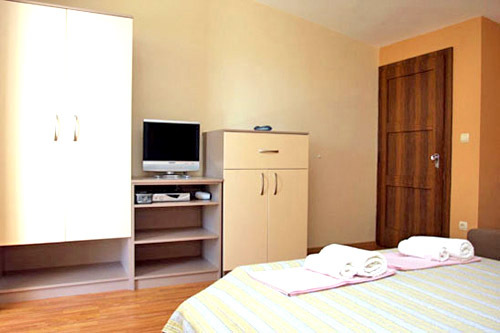 Accessories: air conditioning, TV, microwave oven and electric kettle. 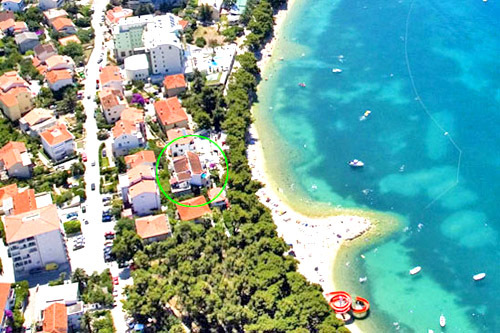 House are located on the beach. 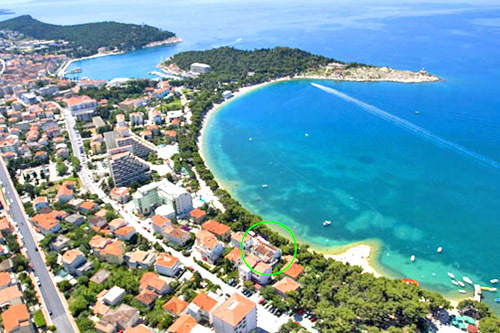 Just 20m from sea. 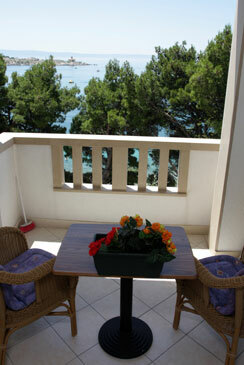 You can enjoy in beautiful sea view from each balcony. Fall a sleep and wake up to the sound of waves . 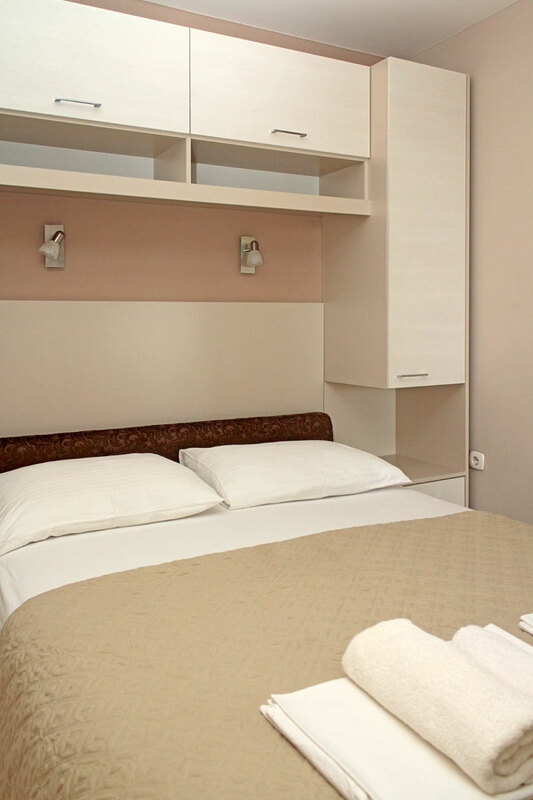 Dear guests, we offer you accommodation in apartments (2+2 and 2+3 ) equipped with air-condition, satellite TV, radio and safe deposit box. 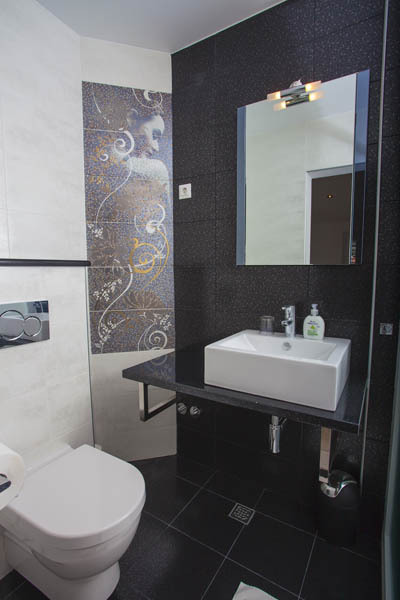 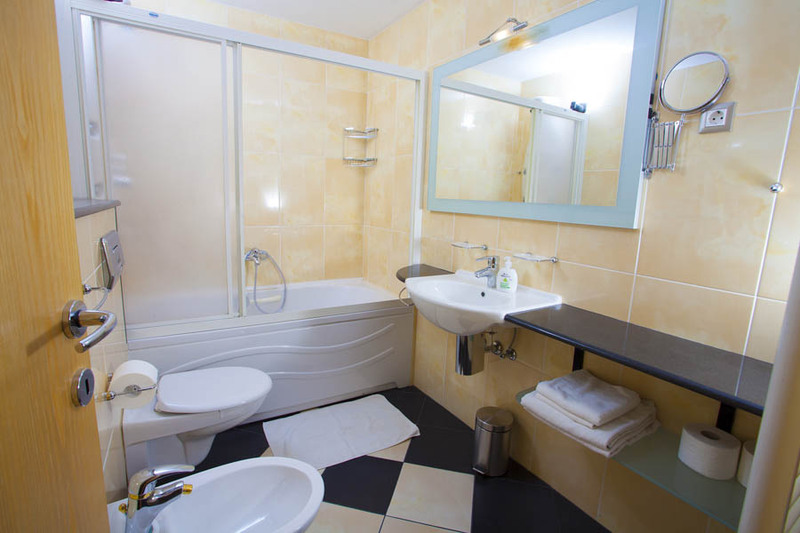 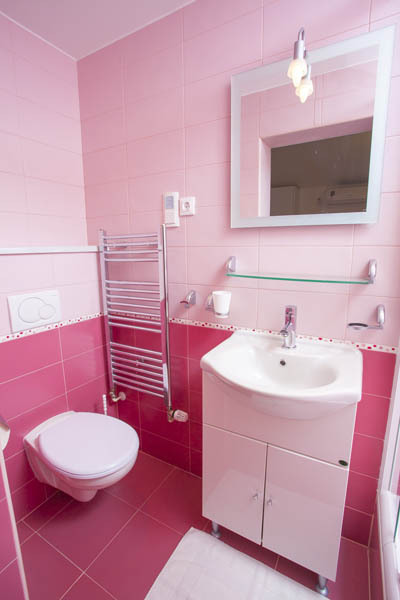 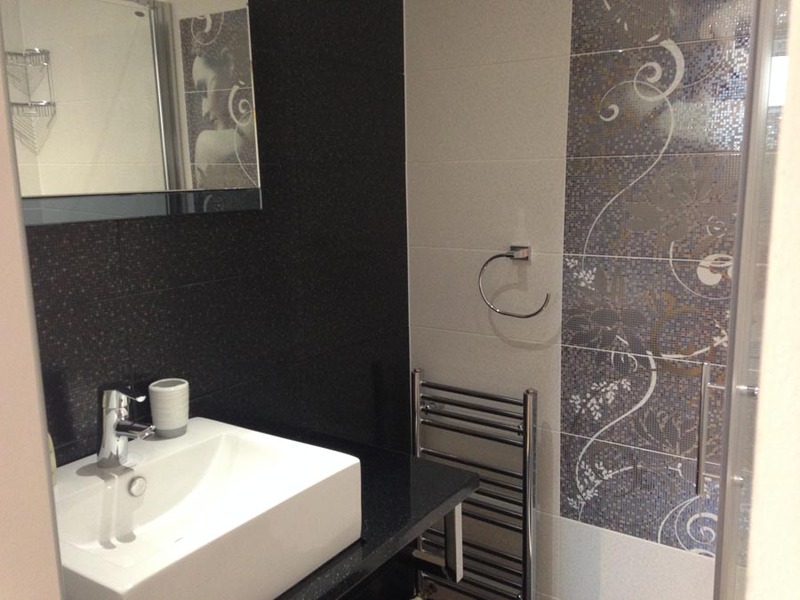 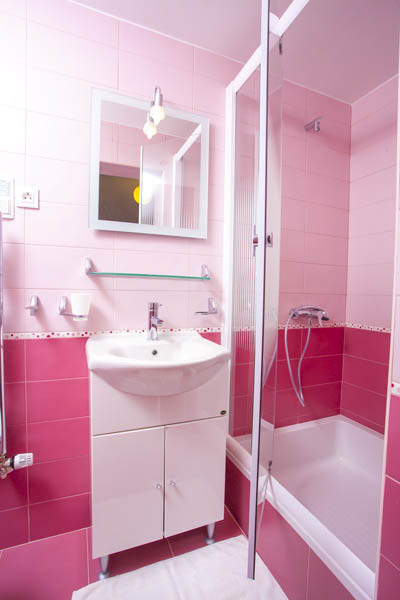 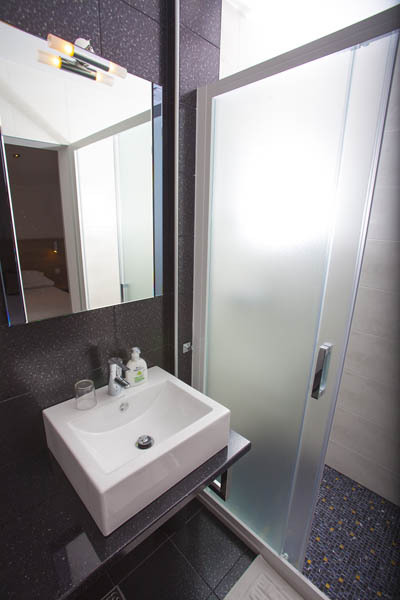 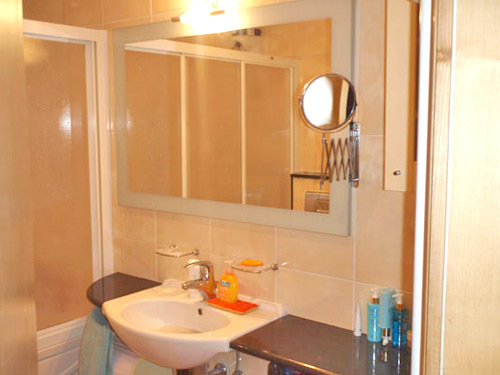 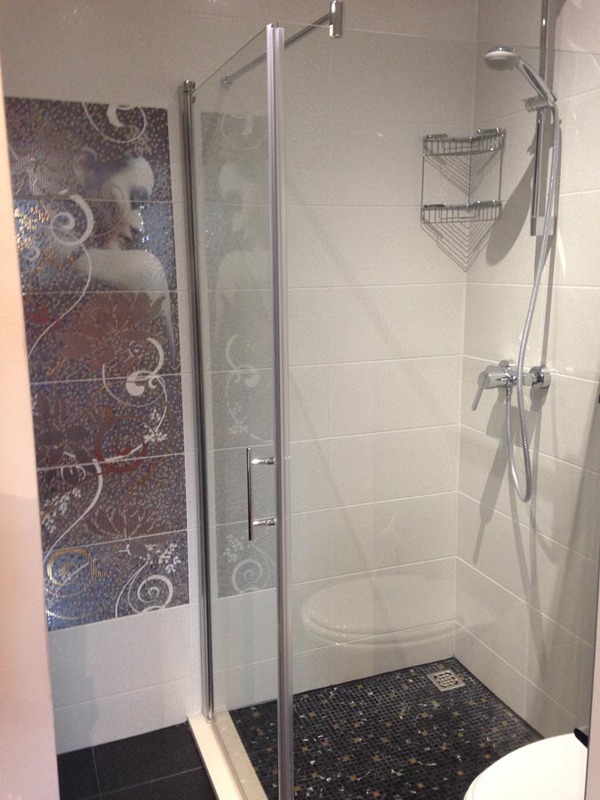 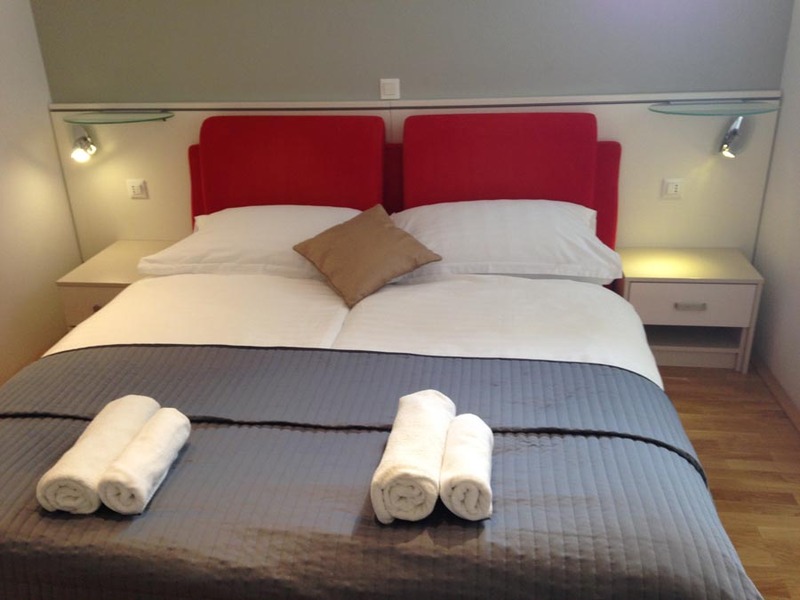 Kitchen kit, bed linen and towels are included. 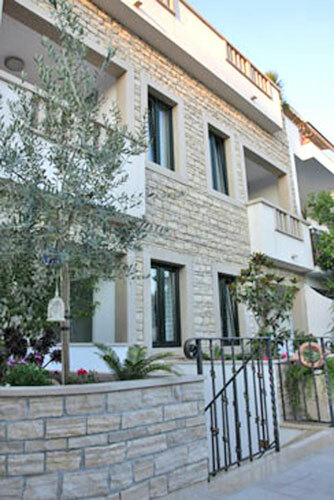 We answer in max.24 hours to your e-mail enquiry.